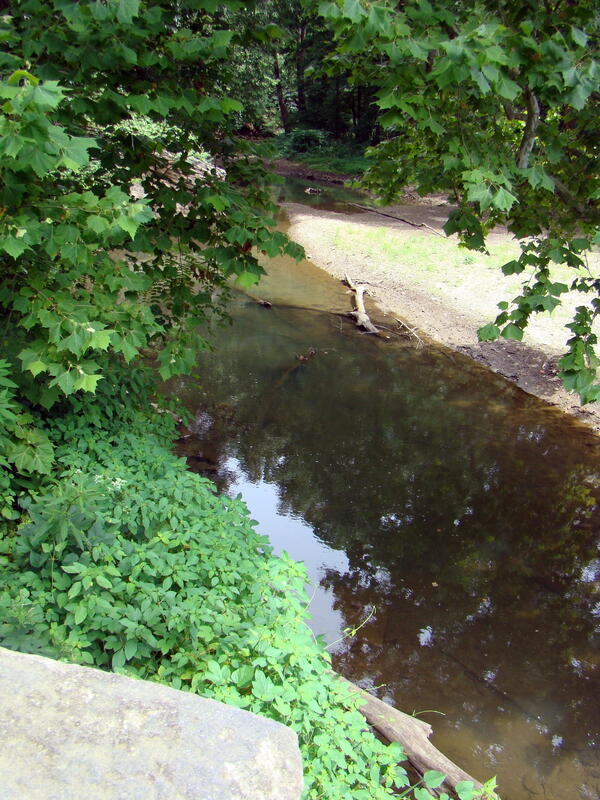 The site was first discovered back in 1950 by owner of the ground, Albert Miller. He had found some projectile points on his farm while taking a walk, but one day noticed a small artifact by a groundhog hole and decided to dig there. When Albert found bits of pottery and arrowheads buried, he felt like he was tearing pages out of a book, so the proper history could be read. Dr. J.M. Adovasio from the University of Pittsburgh became interested and conducted the first professional research at the site. More recent digs have been conducted by Adovasio at Mercyhurst Archaeological Institute using state-of-the-art equipment. It is considered to be one of the most carefully excavated sites in North America. This rockshelter overhang provided shelter, as well as a vantage point, for early inhabitants from the time of George Washington back to 16,000 years ago. Archaeologists are studying traces of what those early cultures left behind so we can perhaps better understand those early people who lived in America. Getting out of your car at the Rockshelter, your eyes climb upward to the observation deck that has been built so visitors can get a closer look at the archaeological work being done. While today there is a long stairway for easy access, about ten years ago anyone wishing to climb to the rockshelter had to use a rope to help pull themselves up. After a long climb to the top, visitors can see evidence of tools and campfires made by those early inhabitants thousands of years ago. 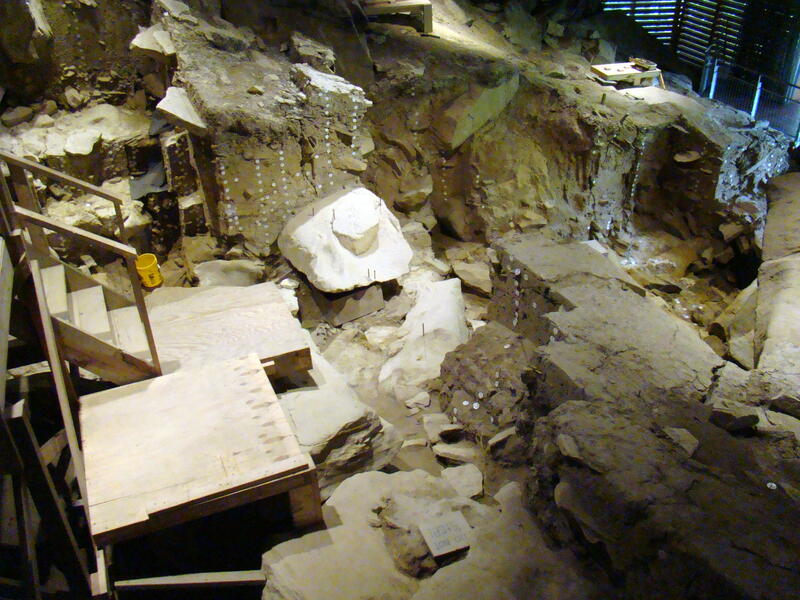 The deck allows visitors to witness “Deep Hole”, where the oldest evidence exists. 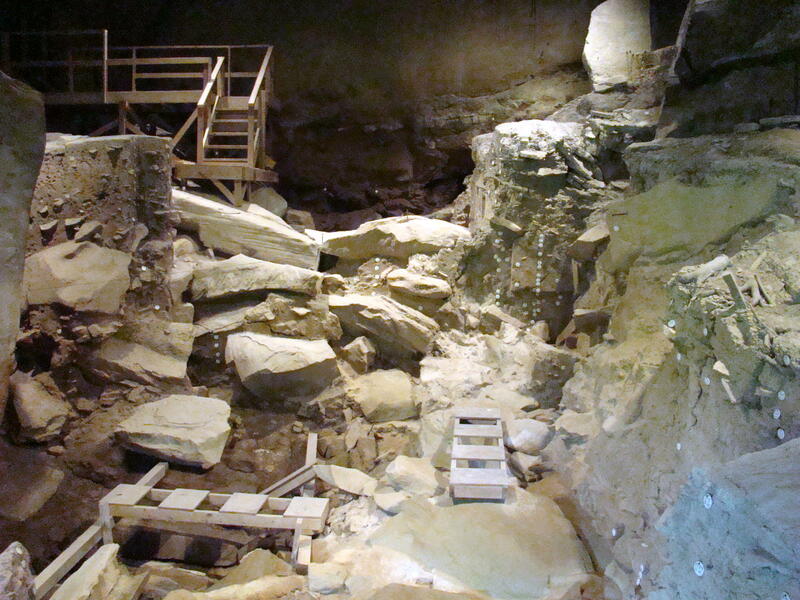 Rocks fell from the cliff above to cover many of the pieces of the past that are being uncovered today. At the center of the dig, a fireplace was carefully excavated showing layers to make you smile. Starting at the top there was a layer of plastic bottles, then cans, beer and whiskey bottles, and finally clay bottles. This fireplace area was obviously used for relaxation purposes for generations. These layers coincided with the people who stayed under this shelter for various reasons. Starting today and going back to George Washington’s time describes the most recent layers. Those deep layers describe life 16,000 years ago. While there is some skepticism over dates, they all admit that it was thousands of years ago. Each find has been carefully tagged from spear points and arrowheads to bone fragments. This is one of the first sites that used computers in the archaeological field. It is easy to see that much patience is needed in order to conduct this type of investigation. Sometimes they might work for months with a single-edge razor blade to scrape the rock from a piece of history. After the climb back down, now the look at the Rockshelter gives you an idea of its purpose. The top seems a perfect place for a lookout to watch for approaching enemies, while under the rock cliff would be the perfect shelter for camping. Cross Creek cuts through the valley, and most likely cut through the sandstone surface of the rockcliff to help make it what it is today. Searching for the past, helps us better understand the present. 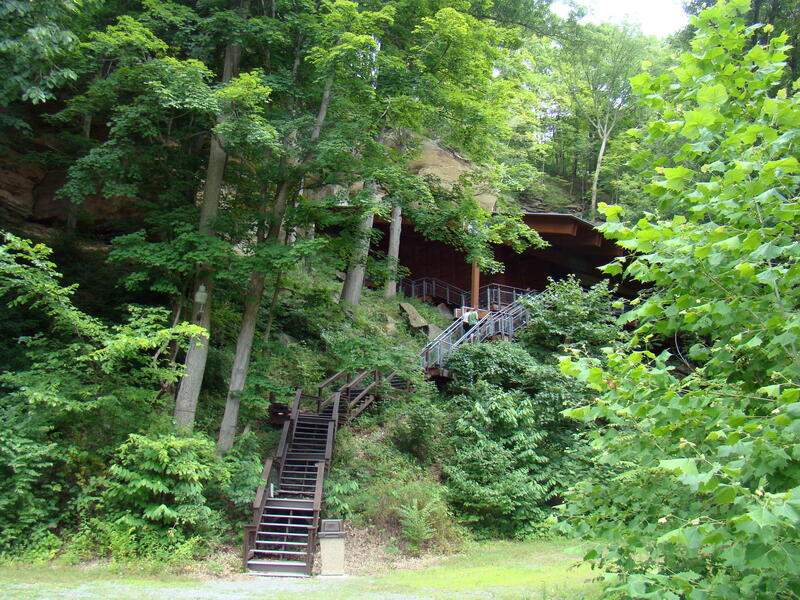 Meadowcroft Rockshelter is found near Avella, PA off the beaten path. Your easiest bet might be to have your GPS guide you to 401 Meadowcroft Road in Avella, PA.
Or you can take exit 17, Jefferson Ave (old exit 6) off I-70 West in Washington, PA. At the bottom of the ramp turn right. At the second light turn right onto Jefferson Ave. At the next light bear left onto 844. 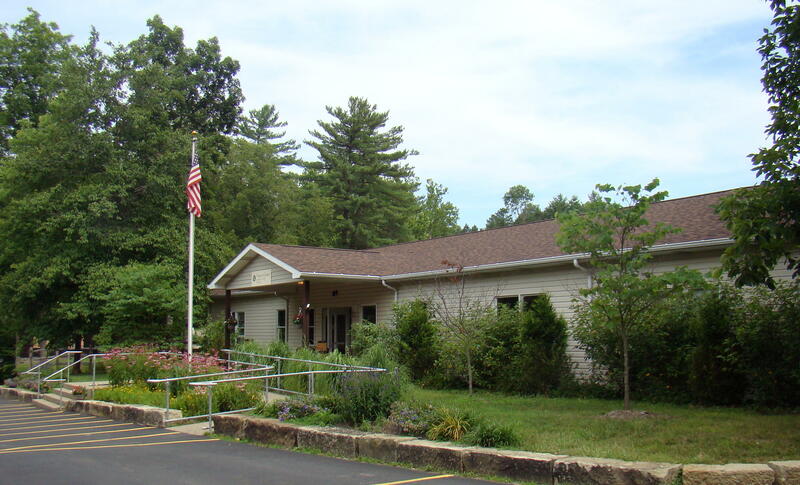 Follow 844 for 11 1/2 miles to the junction of 844 and 231 (just past Breezy Heights restaurant and driving range). Turn right onto 231 North. Go 1 1/2 miles to junction of 231 and 50. Turn left onto 50 West. Proceed 1 9/10 miles and turn right onto Fallen Timber Road. Go 1 3/10 miles and turn left onto Meadowcroft Road. Proceed 9/10 of a mile to Meadowcroft entrance on right. The past always excites me…but so does the present and the future. Always enjoy learning more about the early history of our country and our world. That is why I like your blog as you have often told about the past as well as the present.